There has been a broad welcome for the publication of the bed capacity review commissioned by Government as part of its response to hospital overcrowding. The report does not pull its punches. It concludes that the current health system is not fit for purpose. It warns of further risk to patient safety if health service reforms are not implemented quickly. And it advises that, without reform, 7,000 acute hospital beds, 12,000 residential care beds and a 37 per cent increase in the workforce would be required by 2031. These numbers, while unsettling, should not come as a surprise. The health system has been struggling for over two decades, with successive administrations failing to make the necessary infrastructural changes. A long-standing insistence by politicians and managers that no additional hospital beds were required has now been exposed as false. 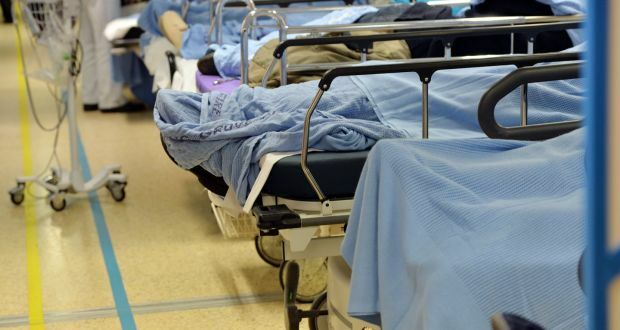 The report says that if the Government accelerates the pace of the proposed Sláintecare reforms, fewer (2,600) extra acute hospital beds will be required. But this will only be possible if there is a 50 per cent increase in the primary-care workforce, to include about 1,000 additional GPs, 1,200 extra practice nurses and 1,100 more public health nurses. In itself, this level of recruitment will be a Herculean task. Not alone is there a typical four-year training period for primary-care professionals, but the system is leaking existing post-holders at a significant rate. Making the health service a far more appealing work environment is a prerequisite to retaining health professionals in the system, as well as attracting new applicants. Cultural change, therefore, along with courageous systemic reform, will be as important as financial investment. Vested interests will have to be faced down by government. Ministers must also look to identify some short-term gains in hospital capacity to reduce the inhumane and dangerous conditions visited upon public patients in recent years. To protect the safety of patients, surge capacity, in particular, must be found.